Your gift - large or small - makes a big difference in the lives of our community members and helps us provide a crucial service to Mainers in need. 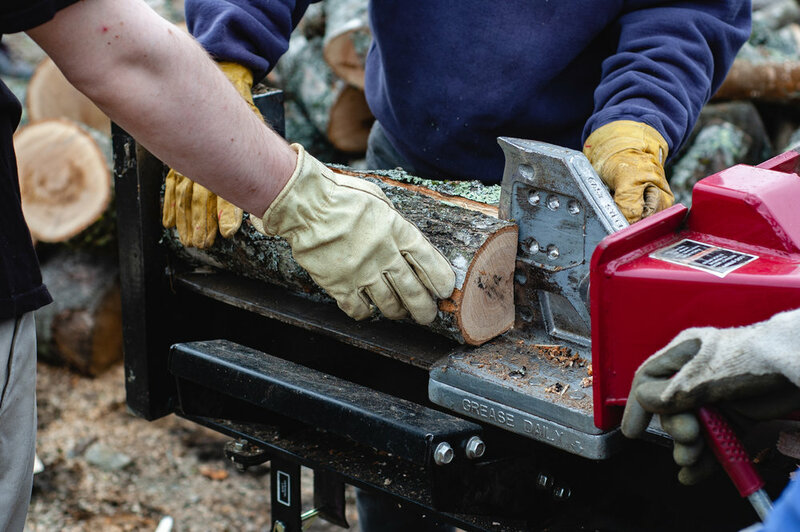 Designate whether you’d like the funds to go toward our general fund, heating assistance, or operating costs to assure we can continue to safely and efficiently process and deliver wood to individuals in need. We currently accept donations by mail. We also accept limited in-kind donations. If you would prefer to send your donation by check, you can do so through either option below. Please make checks payable to the Congregational Church in Cumberland, with “Cumberland Wood Bank” in the memo. Please make checks payable to Maine Woodland Owners, with “Cumberland Wood Bank” in the memo. Non-wood, in-kind donations must be directly related to the acquiring, processing, or distribution of wood. If you feel your in-kind donation can benefit the Cumberland Wood Bank, please contact us at (207) 747-2868 or email us at cumberlandwoodbank@gmail.com with “In-Kind Donation” as the subject. Donors are required to obtain a qualified appraisal complying with IRS regulations for the purpose of establishing value for federal income tax purposes. This includes the preparation of Form 8283, required for non-cash charitable contributions. The Cumberland Wood Bank / Congregational Church in Cumberland / Maine Woodland Owners does not pay for legal, tax, appraisals or other services on behalf of the donor. For more information on claiming a charitable deduction for gifts in-kind, please contact your tax preparer.